We are Georgia's #1 source for independently owned auto shops. Set up a free consultation today. Georgia Auto Shop Loans and Financing Options From Georgia-Based Community Banks. Buying an existing shop? Great - this typically makes financing easier. Let us help you take a peek under the hood of this business. If everything looks good, we can help find a lending partner. You’re not required to have ASE certification to work on cars, but without it, you might find it substantially more difficult or expensive to obtain liability insurance and find financing for your new business. 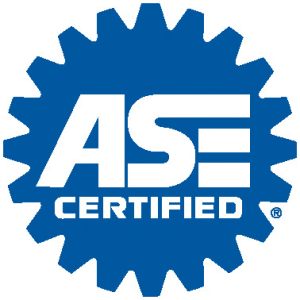 ASE certification tells potential customers that you know what you’re doing. It gives car owners confidence, and can be a very important marketing tool. Before you qualify to take the certification test, you’ll need a minimum of two years of work and educational experience combined, with at least one year obtained on the job. Before you spend a dime opening your shop, you need to know the total projected cost to get up and running. If you don’t, you might run out of funds before gaining your first customer. While it is impossible to project certain costs ahead of time, the most common and expensive line items are easily predicted. According to Appointment-Plus, the total cost is right around $47,000, in equipment, insurance, and rent. Buying a building and making alterations can significantly change that number, depending on construction costs. Choosing to buy an existing auto shop can also affect the bottom line. You can also specialize in repairs for specific car manufacturers or types of repair. If you specialize, you might earn a reputation as the best garage for brakes, but you lost out on a lot of other business. Before you open up, you need to know the scope of the services you plan to offer. If you want to specialize, you’ll need to do some serious market research to make sure there is enough demand to support your new shop. A lot more goes into opening a business than just finding a location and serving customers. You’ll need to obtain a business license, look into the regulations surrounding liability insurance requirements, open accounts to handle payroll and tax reporting, file your articles of incorporation, and other pre-sale steps. A lawyer is invaluable during this process, helping you ensure every “i” is dotted and “t” crossed. You don’t have to retain a lawyer, but it can save you from a lot of mistakes along the way. If you have a very small shop, you might do all of the work yourself, but you will probably still need at least one employee to handle telephone calls and customers. If you have a couple of lifts and want to maximize your capacity, you’ll need additional mechanics to help service vehicles. The hiring process should start at least a month before your grand opening. You’ll want enough time to check references, find the best candidates, and negotiate compensation packages. Marketing is another big part of opening the doors. Be sure to schedule a Grand Opening, so locals can stop in and see the shop. You might want to advertise special discount pricing for that first day or week, just to bring customers through the doors. You’ll also want to have a standard service list of pricing and a shop rate finalized, so you can estimate your revenue potential. Let us look under the hood to make sure your loan request is firing on all cylinders.